Opposites do attract or in the case of interior design, they complement each other appropriately. Merging old and new styles, different finishes and periods is striking and visually gratifying! Modern Victorian juxtaposes the romantic charm of timeworn pieces and contemporary decor. It's filled with character, sophistication, artisan element, and a good sense of history. 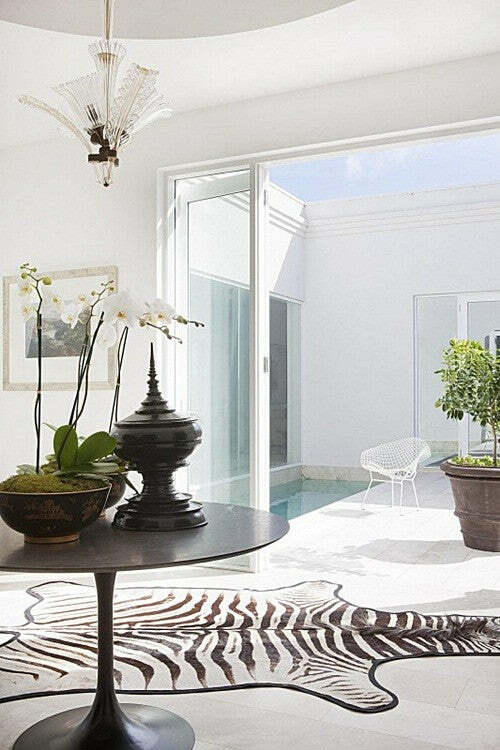 It is also one of the best interior themes to add a zebra rug into. The interior fusion can be achieved by carefully balancing the two design genres together. The outcome should look like it has been prudently assembled over time. It should look unified; never chaotic. If you're thinking of incorporating new decor into the antiquated Victorian house you've just purchased, scroll below for some inspiration. Coating the walls in a single color is a great way to marry opposing decor. It's not harsh on the visuals and it makes the room appear orderly despite the difference in themes. The photographs in simple modern frames present a sample of a sleek and contemporary style. It is a suitable match against the dated wall moldings and the antique French tub chair. 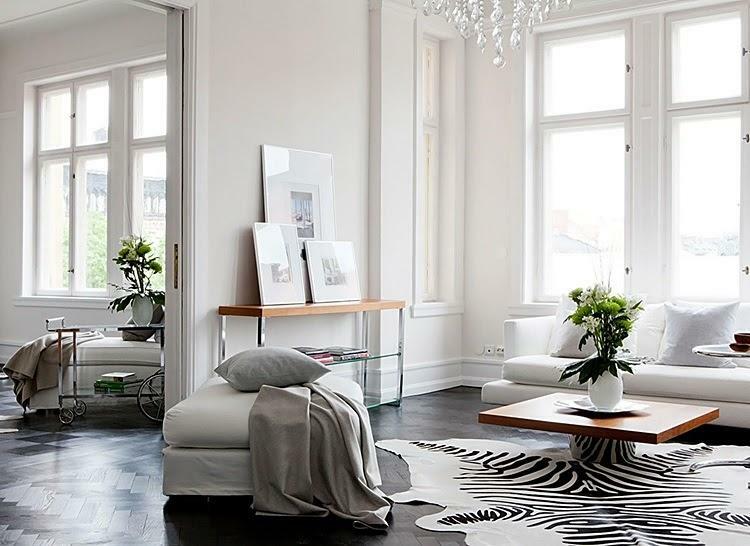 The zebra rug adds a sense of fierceness and glamour to the Modern Victorian setting. It's easy to go overboard with a Modern Victorian theme given its diverse nature. Sparingly add pieces that echo the distinctive look that you want to create so as not to overwhelm the place. The abstract artwork and a studio spotlight in this updated Victorian house in Melbourne prevent the living room from looking overly dated. The zebra rug pulls the overall look together without being too intense. 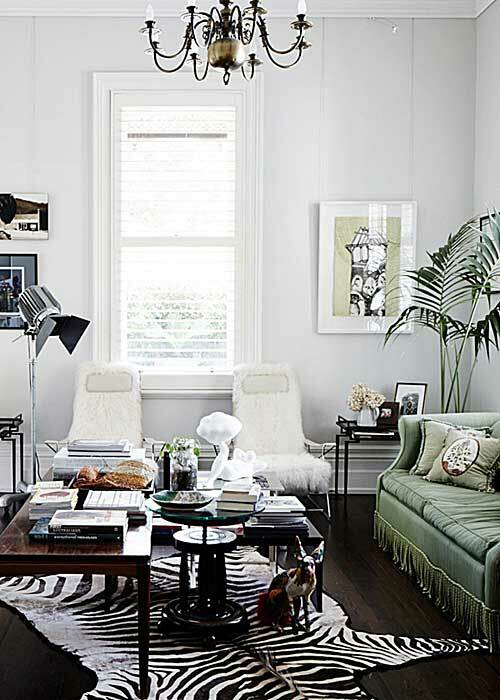 Above is another stunning Melbourne house that reflects the Modern Victorian style that can pass up as an art gallery. Precious modern artworks fill the walls of the room. The aged crevices and decorative ceiling were expertly renovated. The arrangement of the decorations is expertly studied and yet they don't come off as stiff. The style is subdued yet very chic. Interspersed potted greens immediately enliven a Modern Victorian home that's bathed with white coat. Adding in a few chairs with sleek modern lines along with furniture made from quality wood is a great way to make the room look stunning. If you want to rebel against the norm for a bit, place the zebra at the patio's entrance. It's a scene-stealer amidst the sea of white! If you prefer a low-key approach to the Modern Victorian style, use minimal decor that reverberates throughout the home. The arrangement should let the eye travel from one room to another in one continuous flow. The sofa and ottoman should be covered in materials with a single solid pattern, and the furniture should be kept to a necessary minimum. Natural diffused daylight coming in from the large windows vitalizes the place. Come nightfall, a crystal chandelier illuminates the gorgeous space. Exquisite touches that gives a sense of nostalgia is important to pull off a Modern Victorian theme. It gives the house an amiable personality that a strict modern house is usually devoid of. Find interesting pieces that matches your style. The end result should possess a good nod to both the past and the present with little quirks that's uniquely your own.